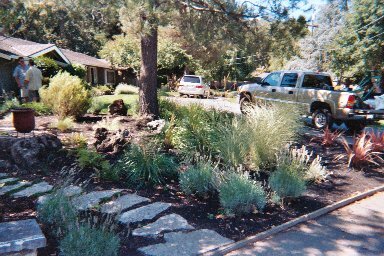 Home→Contra Costa County→Lawn to Xeriscape Rebates? What’s Up With Those? #1 – The rebates offered are UP TO $1000.00 each. 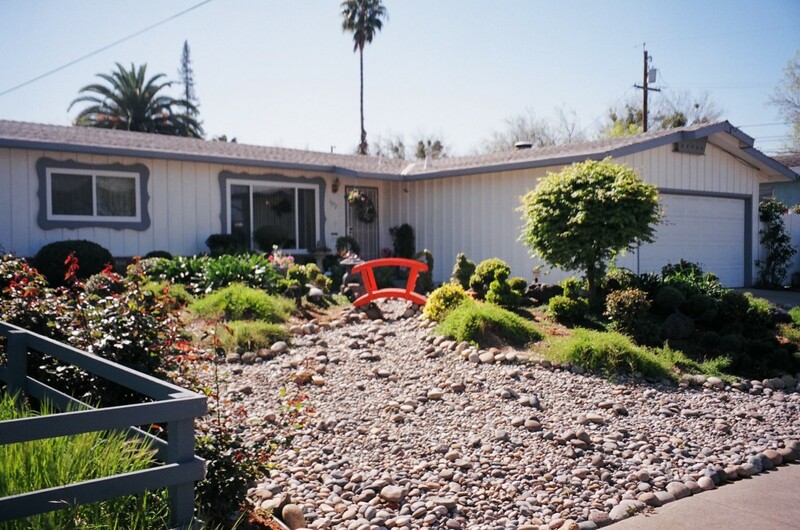 That means your drought tolerant re-landscape project might qualify for less than the maximum. Still, any little bit helps, right?! #2 – The process from completing your “application(s)” to getting your rebate check can take many weeks to months. You still have to pay your contractor for the job ahead of time. #3 – The guidelines for each agency offering rebates are precise, and must be followed to the letter in order to ever see your rebate dollars. 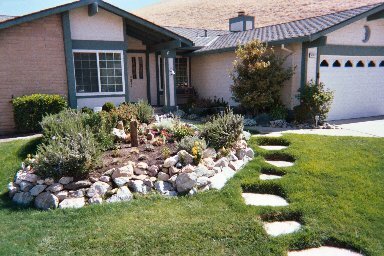 If you skip a step, or choose the wrong plant or sprinkler type, or don’t deal with enough square footage, then final approval may allude you. IMPORTANT – Before you hire a contractor, let them know you plan to pursue a rebate. There may be additional labor and material costs involved with complying with rebate guidelines. So, what’s a good drought-conscious Californian supposed to do? If you’re organized and able to remain calm while juggling governmental red-tape, then GO FOR IT! But be sure your contractor is informed and on-board with following the program guidelines. If the rebates are suddenly sounding like something you want to avoid, it’s appropriate to ask your contractor if they can give you an additional pricing discount in order to avoid having to deal with the rebate at all. 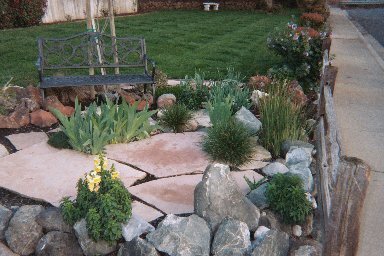 Contractors who are experienced with xeriscape work will likely immediately see the wisdom of this compromise. 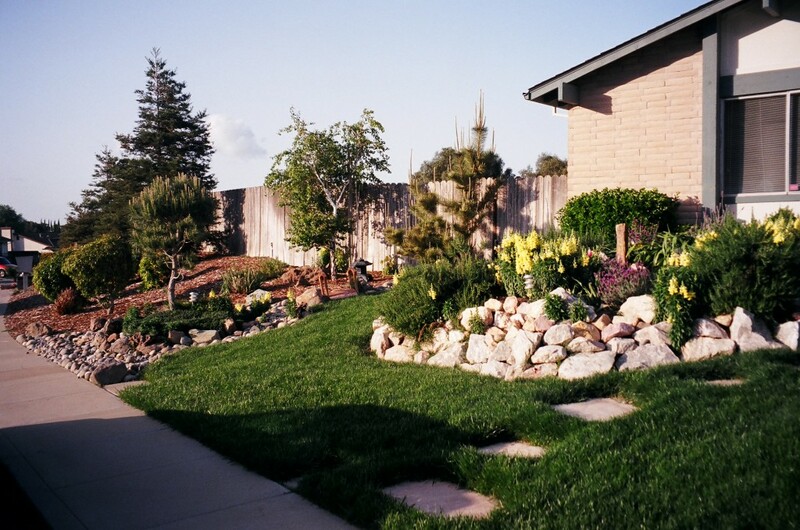 ONE LAST WARNING – There are some companies out there offering ‘no-cost’ re-landscapes. This is where they do the rebate ‘leg-work’ for you and offer ‘free’ services. Please, please, please do research on these companies before you sign with them, as their service records and landscape “designs” have been proven to leave MUCH to be desired. 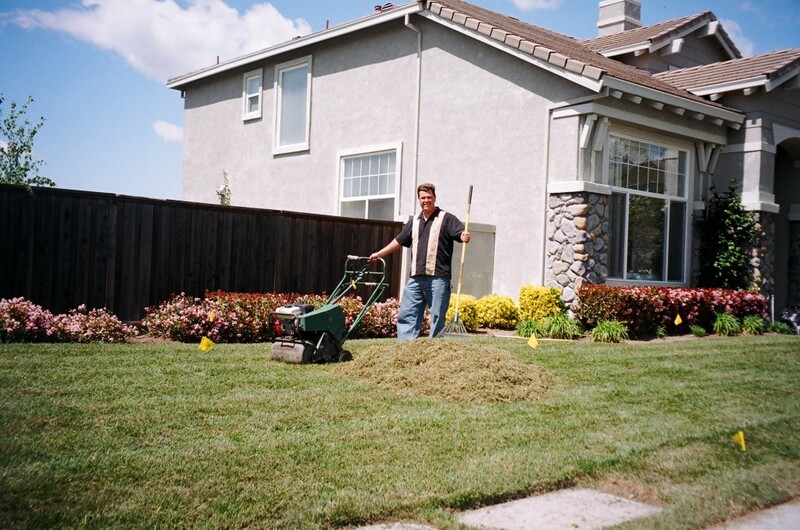 You simply cannot get a beautiful, lush, new yard for $1000.00 when someone else is doing the work. 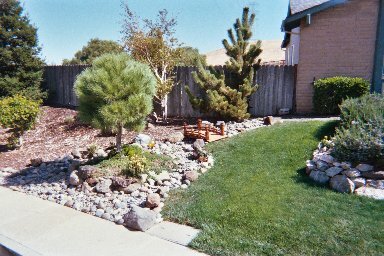 A reputable, local, Landscape Contractor will likely not offer services for free, but can create a lush, drought-tolerant, hummingbird and butterfly friendly paradise that inspires you; within a r budget you can tolerate!